I can’t say enough about paper dolls. 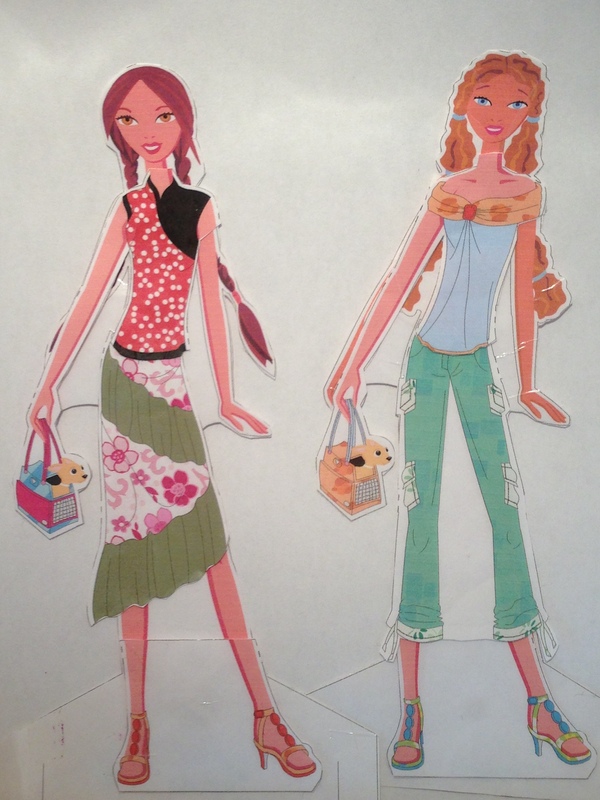 I think that kids love paper dolls simply because it is so easy to dress them up. No zippers, buttons and no sleeves to fight with. Just pop on the outfit and you’re ready to play. 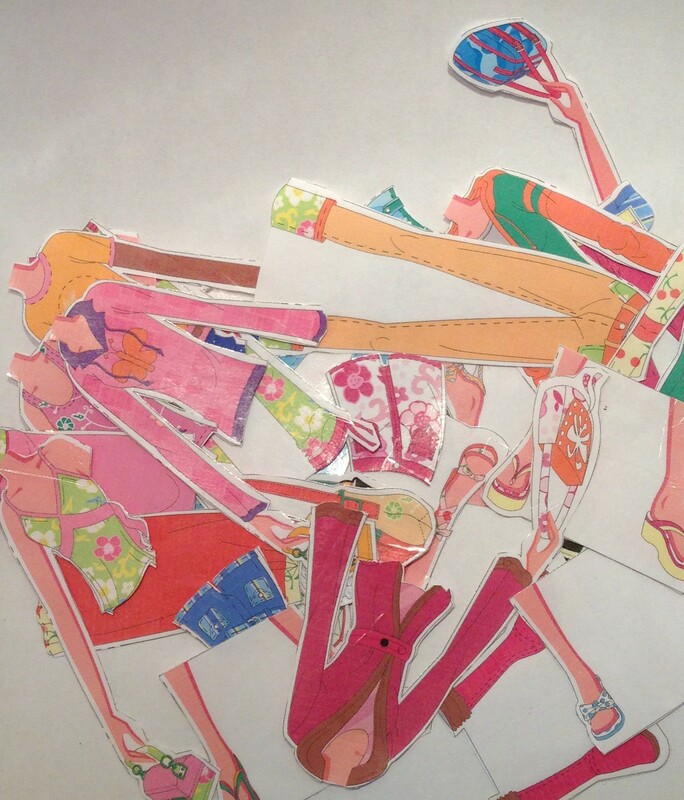 We have a lot of fun with paper dolls. Especially since we have the internet at our disposal. 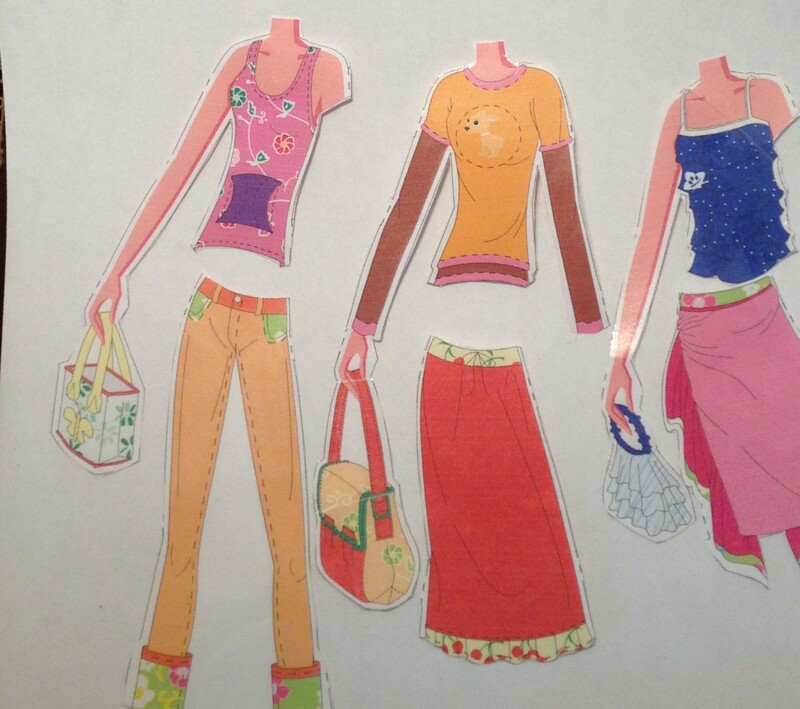 There are tons of great paper dolls online that you can just print off at the touch of a button. Of course, we always try to go a bit further with it. Nothing like taking everything to the extreme but that is exactly what we are all about over here. I mean why print out one doll when you can have ten? And why print out only a couple of outfits when you can have thousands? 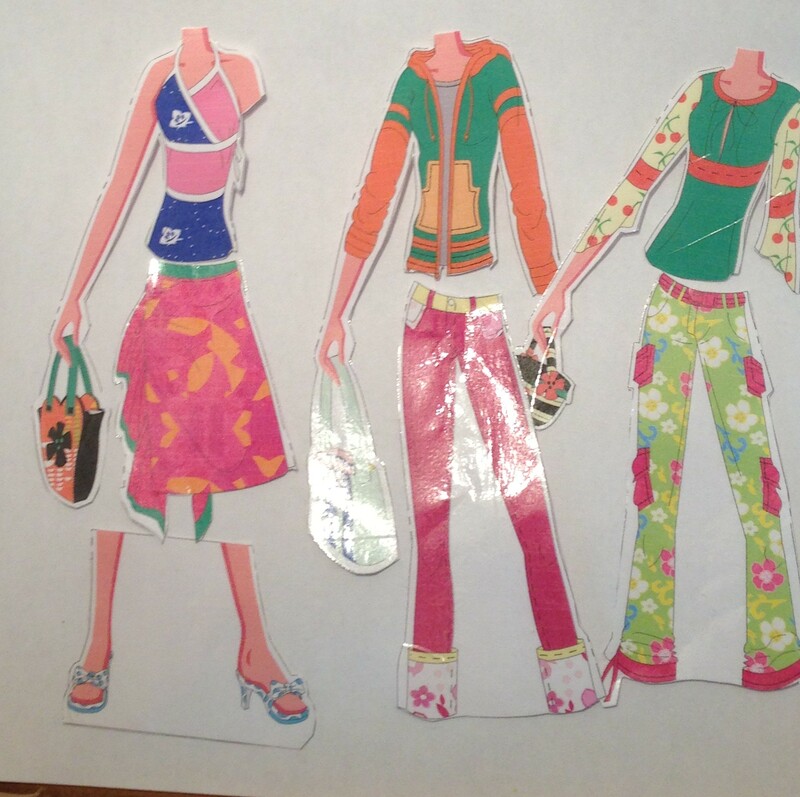 And finally, why make a paper doll if it doesn’t last forever right? Those were all things that I was contemplating when I came across this website. Update: The website above doesn’t seem to be loading. 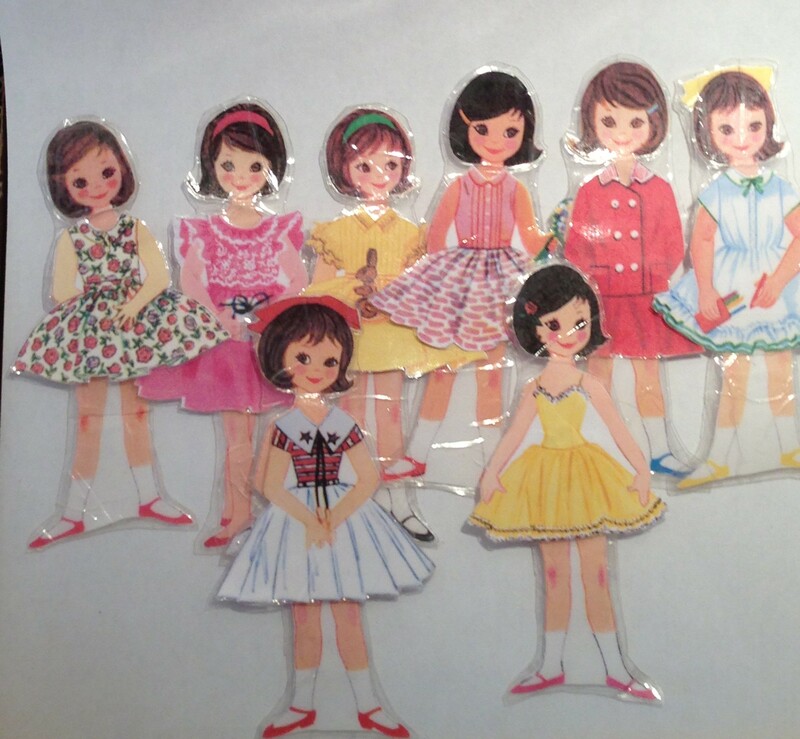 However, you can find many of the Betsy McCall paper doll printables online on Pinterest or in Google images. Isn’t she cute? 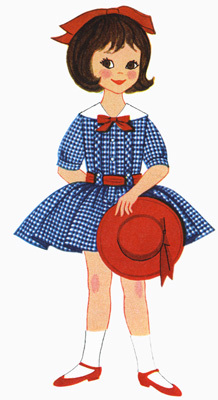 Her name is Betsey McCall and she was a fashion paper doll that was included at the back of McCall’s magazine in the 1950’s. My jaw dropped wide open when I saw her. I immediately set to work trying to figure out a way to get her off of the screen and into my life. At first I printed it all off. All of it. 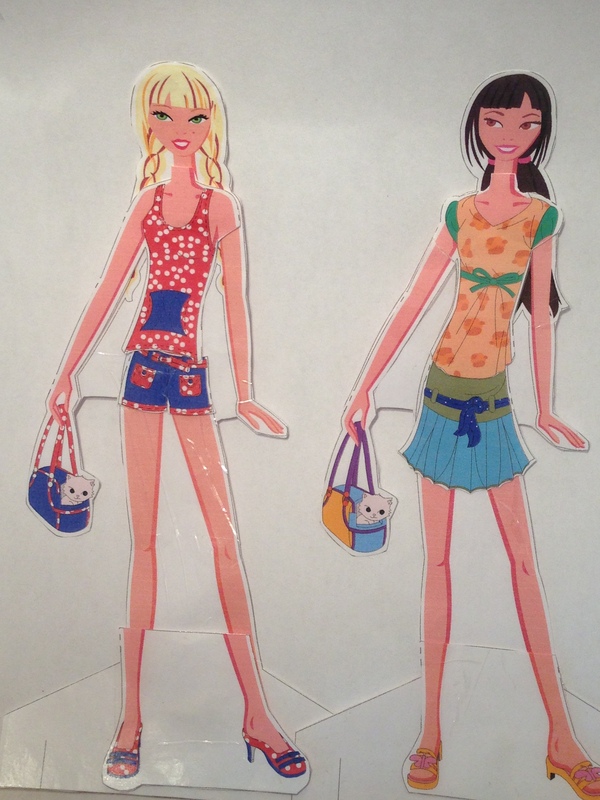 Ten years of Betsey McCall paper doll goodness! I am not kidding when I say that we are extreme crafters around here. Once I had every single page printed I thought about cutting them all out. That is a lot of work, I must admit. But I was struggling because I didn’t want to go to all that work just to have my daughter rip all of those perfect little dresses to pieces. 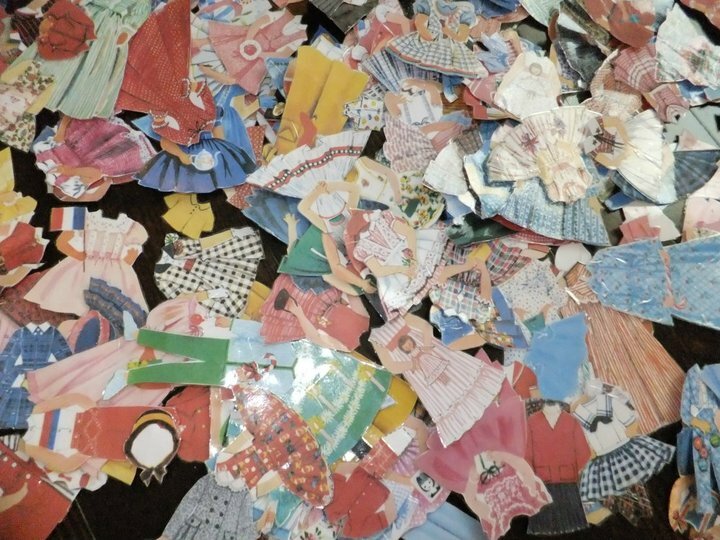 Unfortunately, that is the one thing about paper dolls that I don’t like. Paper isn’t exactly the sturdiest plaything around. I finally decided that I would laminate them. I took them to my local office store and laminated one page, just to see how it would work out. It was brilliant. Until I tried to cut out the pieces. Unfortunately, once you cut something that has been laminated, it starts to peel apart. Bummer. Finally, I decided on this. Here is where the crazy begins. 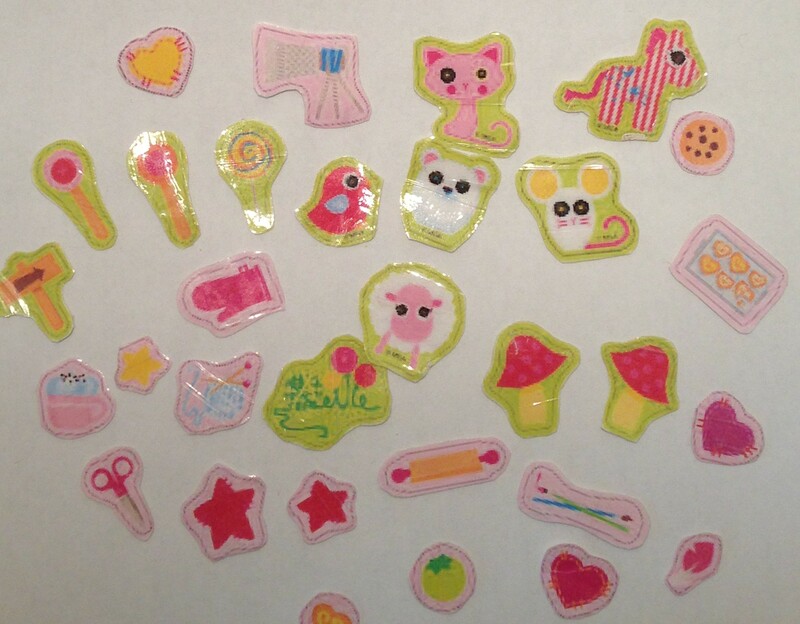 Could I really laminate each and every little dress individually with packing tape? Apparently I could. Sometimes, I amaze myself. Sometimes I think that I must be crazy. And I am not going to lie, this took a very long time. Like eons. But that’s how I roll. My next dilemma was how to find a more efficient way of attaching the clothing to the dolls. I personally hate those little tab things. They are annoying, the clothes often don’t stay on especially if the doll is doing something aerobic and they often rip off. I pondered hook and eye tape, but that would be a pain. Every piece of clothing would have to have a piece affixed to it and that would be a lot of extra work, something that by this point, I wasn’t interested in. As an afterthought, if you have less clothing options for your doll, then hook and eye tape would work just fine. I would use a less heavy duty type though as the harder it is to get the clothing off of the doll once it is on, the more likely the clothing or the doll itself will end up ripped. 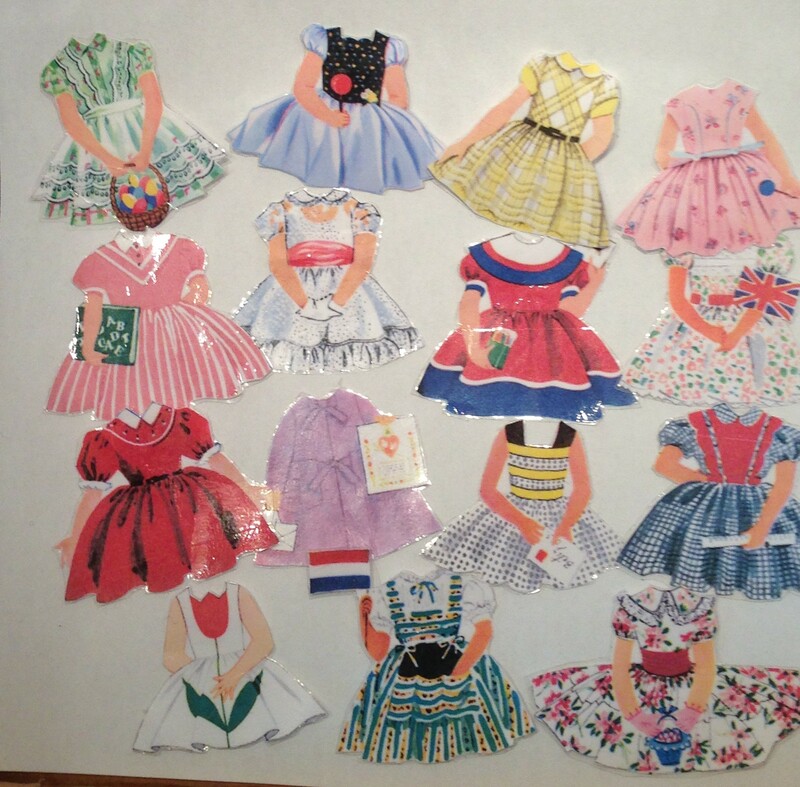 For our purposes however, hook and eye taping hundreds of little doll dresses wasn’t appealing to me. And then the lightbulb went on. This was our solution. Better known as sticky tac. I tried it out. It worked perfectly! You just take a small piece of the tac and stick it to the doll. Then you can stick the dresses on and peel them off as quick as a wink. And they stay on! Even through doll aerobics. 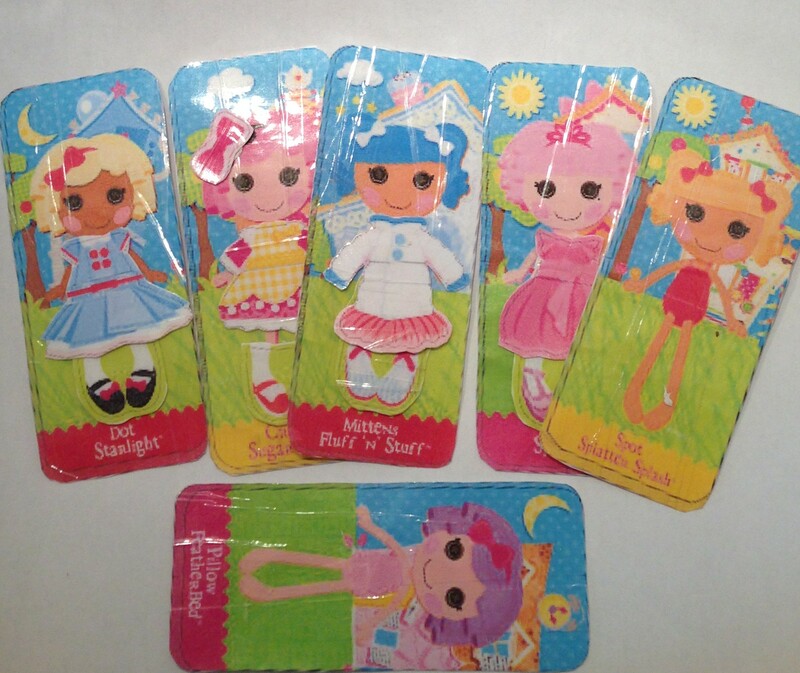 From then on, that was the only way that we would do paper dolls. And the great thing about it was that we didn’t have to worry about tabs anymore. And nothing rips! And if it does rip, you just put another layer of tape on. Good as new. 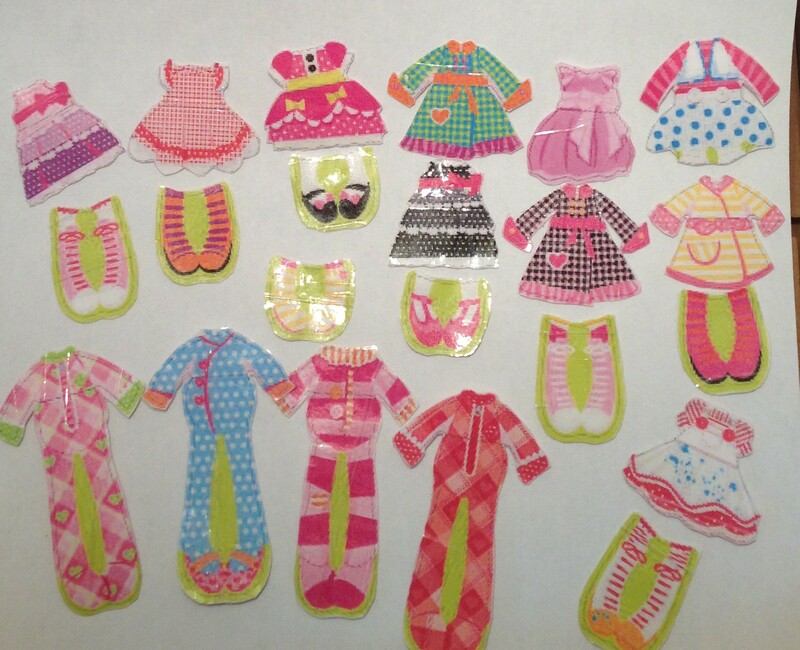 Here are some pics of other paper dolls that we have done the same way. First we printed these off of the internet. Then we cut and laminated them with tape just the same. Some sticky tac and we have a cute set of paper dolls. So sweet! There you can fashion design any outfits that you want. We did an entire fashion line. Press print and you are ready to create! 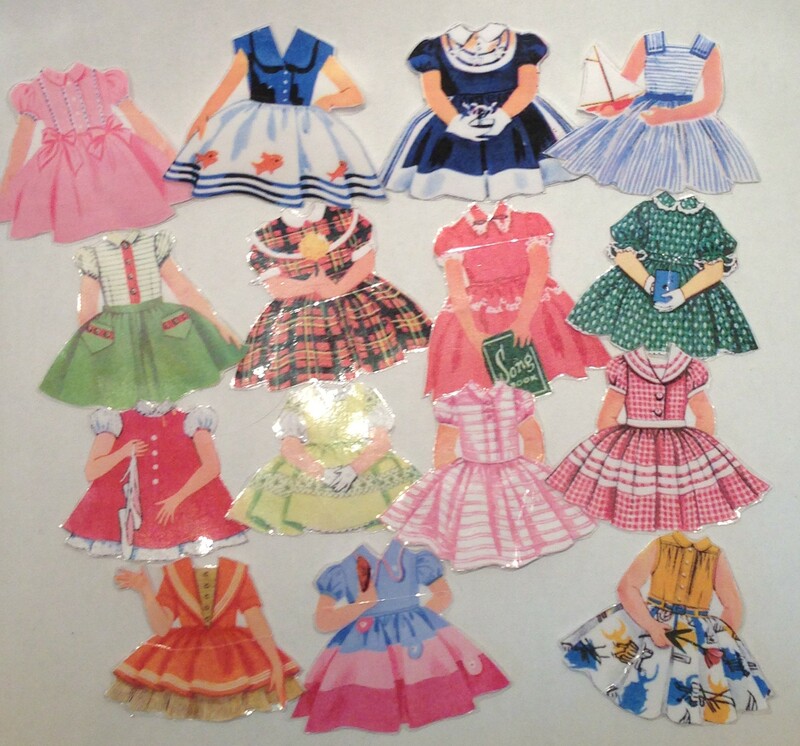 I hope that you have enjoyed my paper doll mania!